If you want to move into an ideally located office tomorrow, just give us a call today. We don't just lease out empty spaces. 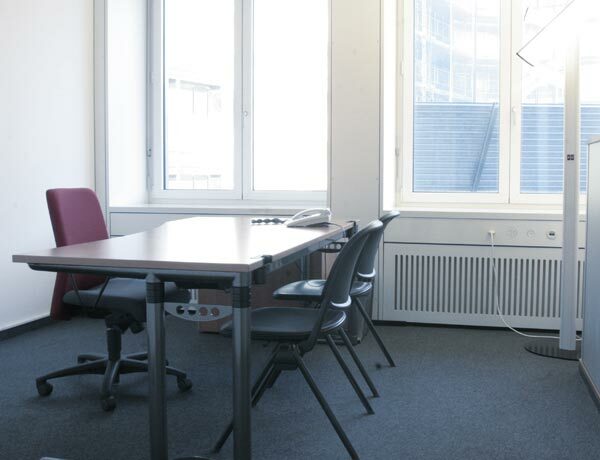 You’ll find a fully furnished office with connections to a comprehensive infrastructure and all the office services you need. Flexible, individual and functional for every office situation. Perfectly matching your requirements. Today speed and flexibility for the lowest possible investment in infrastructure and staff are essential preconditions for a successful business operation. Whether you are founding a new firm, opening a branch, looking for more office space for a project 'on site' or for the short-term, we have a widespread network of the most advanced office service centres in more than 140 cities, in Switzerland and all over the world. One day's use of an office, free of charge, in <<140 WWBC cities>> all over the world. As a tenant in one of our offices, you are entitled to the use of an office or meeting room in one of our 140 office service centres for one day every month.